But what can be done? What course should we pursue? Let us consider a few possible solutions and the reasons which bear upon them. There is one cardinal fact which dominates everything. It is that any change must be for the better. Under their old savage régime as Stanley found them the tribes were infinitely happier, richer and more advanced than they are to-day. If they should return undisturbed to such an existence, the situation would, at least, be free from all that lowering of the ideals of the white race which is implied by a Belgian occupation. We may start with a good heart, therefore, since whatever happens must be for the better. Can a solution be found through Belgium? No, it is impossible, and that should be recognized from the outset. The Belgians have been given their chance. They have had nearly twenty-five years of undisturbed possession, and they have made it a hell upon earth. They cannot disassociate themselves from this work or pretend that it was done by a separate State. It was done by a Belgian King, Belgian soldiers, Belgian financiers, Belgian lawyers, Belgian capital, and was endorsed and defended by Belgian governments. It is out of the question that Belgium should remain on the Congo. Nor, in face of reform, would Belgium wish to be there. She could not carry the burden. When the country is restored to its inhabitants together with their freedom, it will be in the same position as those German and English colonies which entail heavy annual expenditure from the mother country. It is a proof of the honesty of German colonial policy, and the fitness of Germany to be a great land-owning Power, that nearly all her tropical colonies, like our own, show, or have shown, a deficit. It is easy to show a profit if a land be exploited as Spain exploited Central America, or Belgium the Congo. It would always be more profitable to sack a business than to run it. Now, if the forced revenue of the Congo State disappeared, it would, at a moderate estimate, take a minimum of a million a year for twenty years to bring the demoralized State back to the normal condition of a tropical colony. Would Belgium pay this £20,000,000? It is certain that she would not. Reform, then, is an absolute impossibility so long as Belgium holds the Congo. That is for the statesmen of Europe and America to determine. America hastened before all the rest of the world in 1884 to recognize this new State, and her recognition caused the rest of the world to follow suit. But since then she has done nothing to control what she created. American citizens have suffered as much as British, and American commerce has met with the same impediments, in spite of the shrewd attempt of King Leopold to bribe American complicity by allowing some of her citizens to form a Concessionnaire Company and so to share in the unholy spoils. But America has a high moral sense, and when the true facts are known to her, and when she learns to distinguish the outcome of King Leopold’s dollars from the work of honest publicists, she will surely be ready to move in the matter. It was in crushing pirates that America made her first international appearance upon the world’s stage. May it be a precedent. But to bring the matter to a head the British Government should surely act with no further delay. The obvious course would appear to be that having prepared the ground by sounding each of the Great Powers, they should then lay before each of them the whole evidence, and ask that a European Congress should meet to discuss the situation. Such a Congress would surely result in the partition of the Congo lands—a partition in which Great Britain, whose responsibilities of empire are already too vast, might well play the most self-denying part. 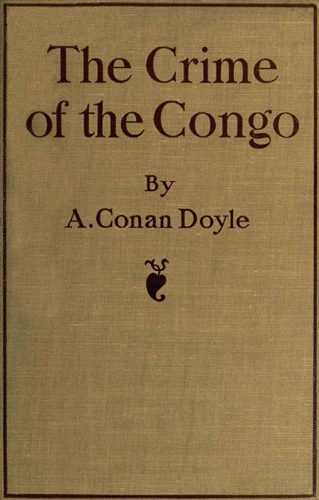 If France, having given a pledge to rule her Congo lands in the same excellent fashion as she does the rest of her African Empire, were to extend her borders to the northern bank of the river along its whole course until it turns to the south, then an orderly government might be hoped for in those regions. Germany, too, might well extend her East African Protectorate, so as to bring it up to the eastern bank of the Congo, where it runs to the south. With these large sections removed it would not be difficult to arrange some great native reservation in the centre, which should be under some international guarantee which would be less of a fiasco than the last one. The Lower Congo and the Boma railway would, no doubt, present difficulties, but surely they are not above solution. And always one may repeat that any change is a change for good. Such a partition would form one solution. Another, less permanent and stable—and to that extent, as it seems to me, less good—is that which is advanced by Mr. Morel and others. It is an international control of the river, some provision for which is, as I understand, already in existence. The trouble is that what belongs to all nations belongs to no nation, and that when the native risings and general turmoil come, which will surely succeed the withdrawal of Belgian pressure, something stronger and richer than an International Riverine Board will be needed to meet them. I am convinced that partition affords the only chance of solid, lasting amendment. Let us suppose, however, that the Powers refuse to convene a meeting, and that we are deserted even by America. Then it is our duty, as it has often been in the world’s history, to grapple single-handed with that which should be a common task. We have often done so before, and if we are worthy of our fathers, we will do it again. A warning and a date must be fixed, and then we must decide our course of action. And what shall that action be? War with Belgium? On them must rest the responsibility for that. Our measures must be directed against the Congo State, which has not yet been recognized by us as being a possession of Belgium. If Belgium take up the quarrel then so be it. There are many ways in which we can bring the Congo State to her knees. A blockade of the Congo is one, but it has the objection of the international complications which might ensue. An easier way would be to proclaim this guilty land as an outlaw State. Such a proclamation means that to no British subject does the law of that land apply. If British traders enter it, they shall be stopped at the peril of those who stop them. If British subjects are indicted, they shall be tried in our own Consular Courts. If complications ensue, as is likely, then Boma shall be occupied. This would surely lead to that European Conference which we are supposing to have been denied us. Yet another solution. Let a large trading caravan start into the Congoland from Northern Rhodesia. We claim that we have a right to free trade by the Berlin Treaty. We will enforce our claim. To do so would cut at the very roots of the Congo system. If the caravan be opposed, then again Boma and a conference. Many solutions could be devised, but there is one which will come of itself, and may bring about a very sudden end of the Congo Power. Northern Rhodesia is slowly filling up. The railhead is advancing. The nomad South African population, half Boers, half English, adventurers and lion hunters, are trekking toward the Katanga border. They are not men who will take less than those rights of free entry and free commerce which are, in fact, guaranteed them. Only last year twelve Boer wagons appeared upon the Katanga border and were, contrary to all international law, warned off. They are the pioneers of many more. No one has the right, and no one, save their own Government, has the force to keep them out. Let the Powers of Europe hasten to regulate the situation, or some day they may find themselves in the presence of a fait accompli. Better an orderly partition conducted from Paris or Berlin, than the intrusion of some Piet Joubert, with his swarthy followers, who will see no favour in taking that which they believe to be their right. But whichever solution is adopted, the conscience of Europe should not be content merely with the safeguarding of the future. Surely there should be some punishment for those who by their injustice and violence have dragged Christianity and civilization in the dirt. Surely, also, there should be compulsory compensation out of the swollen moneybags of the three hundred per cent. concessionnaires for the widows and the orphans, the maimed and the incapacitated. Justice cannot be satisfied with less. An International Commission, with punitive powers, may be exceptional, but the whole circumstances are exceptional, and Europe must rise to them. The fear is, however, that it is the wretched agents on the spot, the poor driven bonus-hunters who will be offered up as victims, whereas the real criminals will escape. The curse of blood and the scorn of every honest man rest upon them already. Would that they were within the reach of human justice also! They have been guilty of the sack of a country, the spoliation of a nation, the greatest crime in all history, the greater for having been carried out under an odious pretence of philanthropy. Surely somehow, somewhere, they will have their reward!